Anyway, today is the kick off of the Mycolor Inspired by Pantone Painting party! I can't wait to see what the other bloggers we selected come up with. There are several other DIY bloggers involved in this "party", and we all are using Mycolor paints (which, if you don't know, I am the spokesperson for the brand, and write a blog for them here.) to create projects that we come up with, write about, and share with you guys. If you are interested in the paint, you can purchase it on the website above, or at most Lowe's locations. Mycolor is quart-sized paint, available in several Pantone colors. This afternoon, Caroline from the Feminist Housewife blog will take the lead, and show you guys her post. Be sure and check it out! Anyway, onto the fun stuff! Here is what I decided to do with my paint... 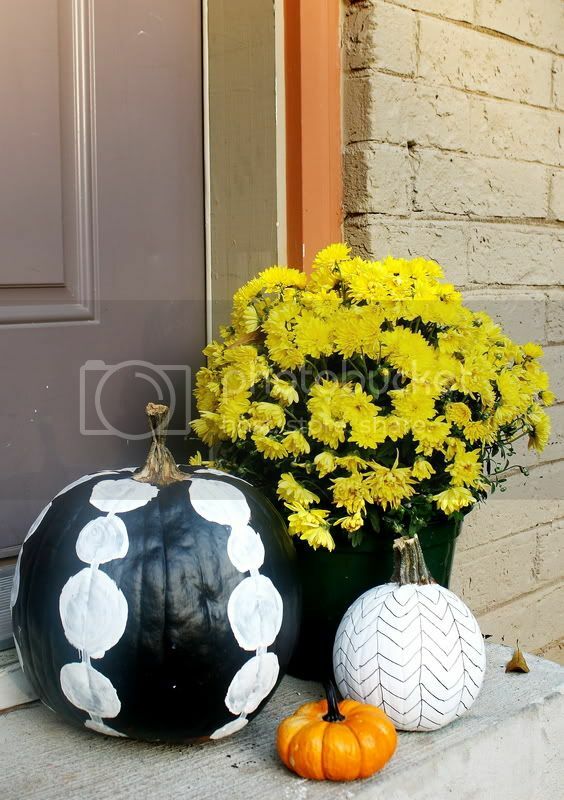 Create a fun fall display for my little stoop. I have enjoyed seeing all the different pumpkin ideas this fall, so I thought I'd add a couple of my own. 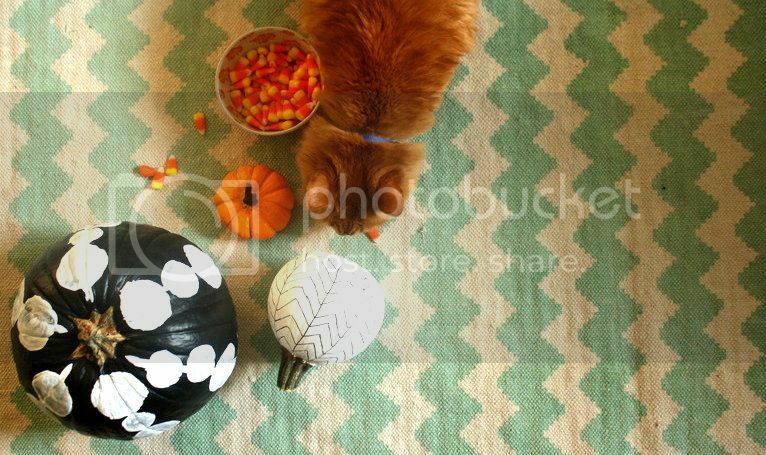 I used three pumpkins (obviously), and am going to tell you guys how I did the two larger pumpkins. 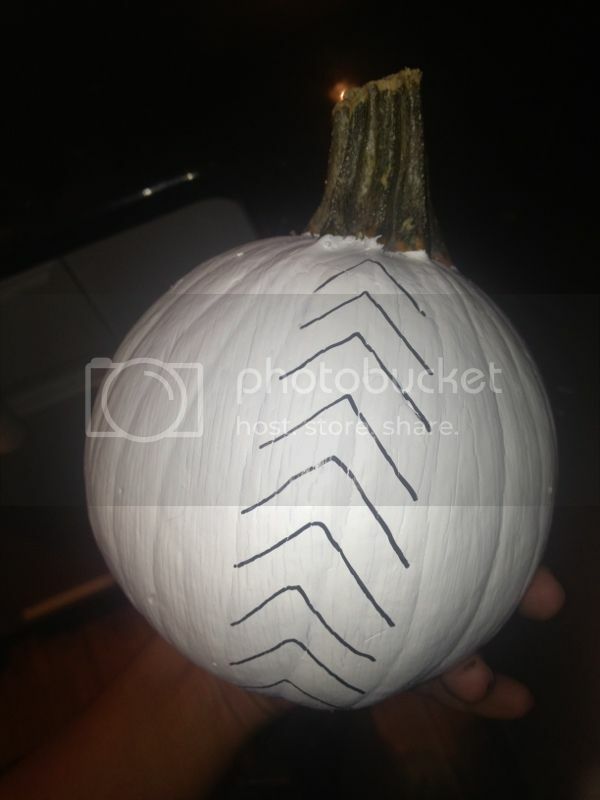 After it dried, I got out my "Bright "White" to create this sort of beaded line pattern on the pumpkin. 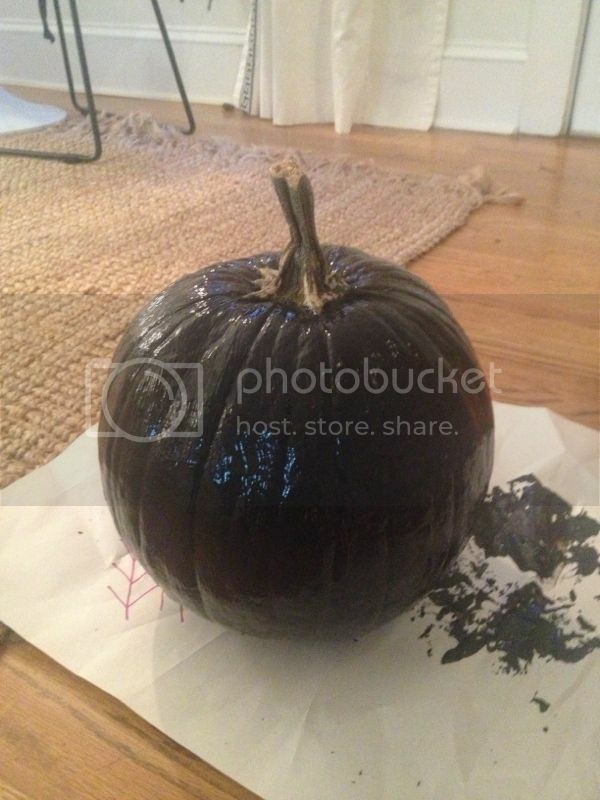 First, I made little line marks around the top of my pumpkin, so that my lines were sort of evenly dispersed on it. 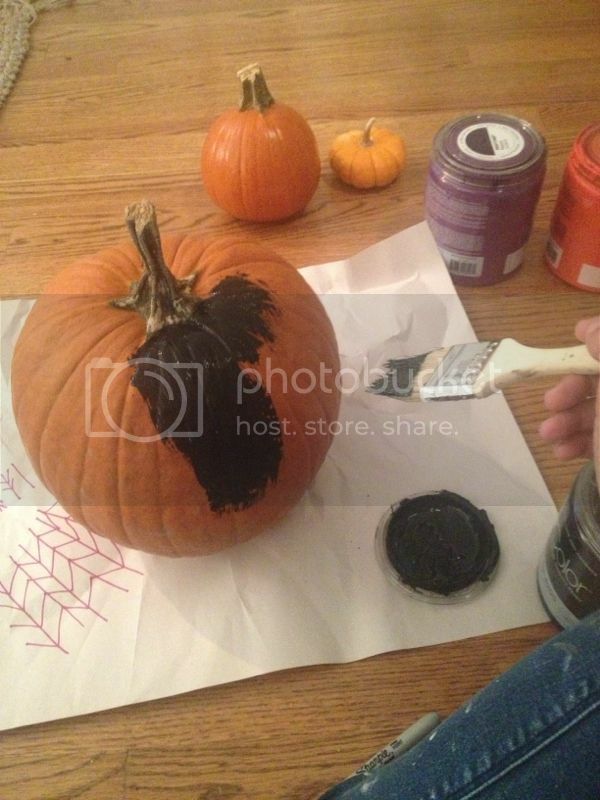 I just followed the natural lines that the pumpkins have in them with a brush. 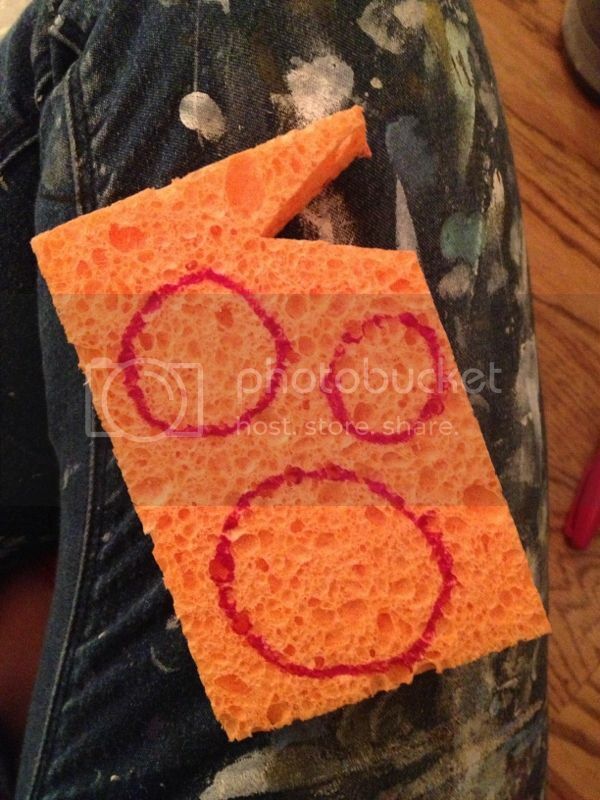 I used sponges from Target to create little stamps for my pumpkins. I figured they would be squishy enough to get into the crevices of the pumpkin. I used different sized circles going up and down my lines to create this fun, bubbly look. 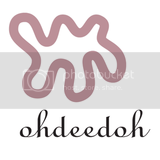 It reminds me of the Hable construction beaded pattern! 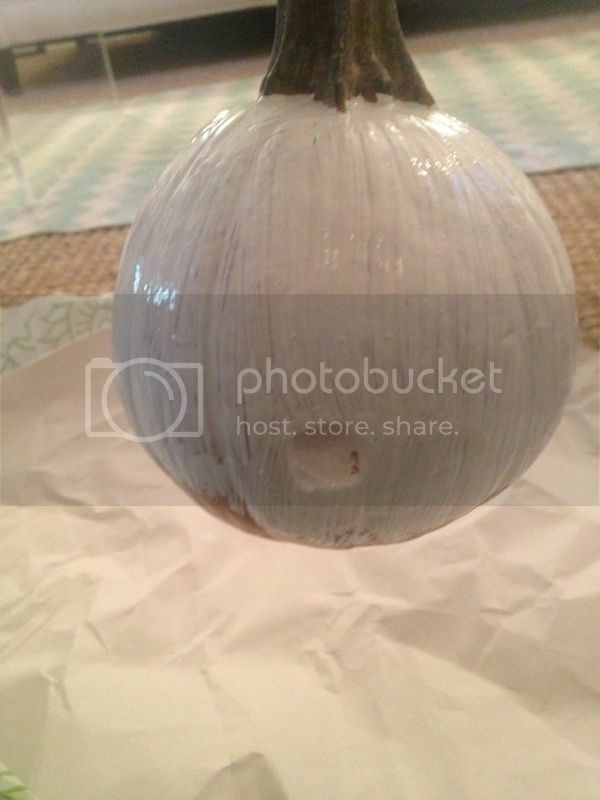 Anyway, after I was done with the black pumpkin, I wanted a smaller pattern for my white pumpkin (for contrast). 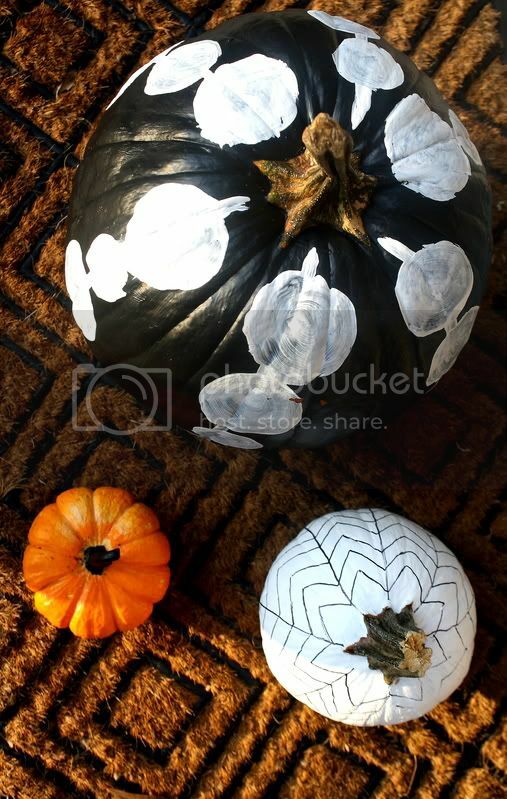 I painted the whole thing "Bright White"
After I did two coats and it dried, I decided the easiest way to make a tiny pattern on my pumpkin would be to use a Sharpie. I drew on a herringbone pattern with the marker, and it worked like a charm! I love the tiny lines. zig zags. 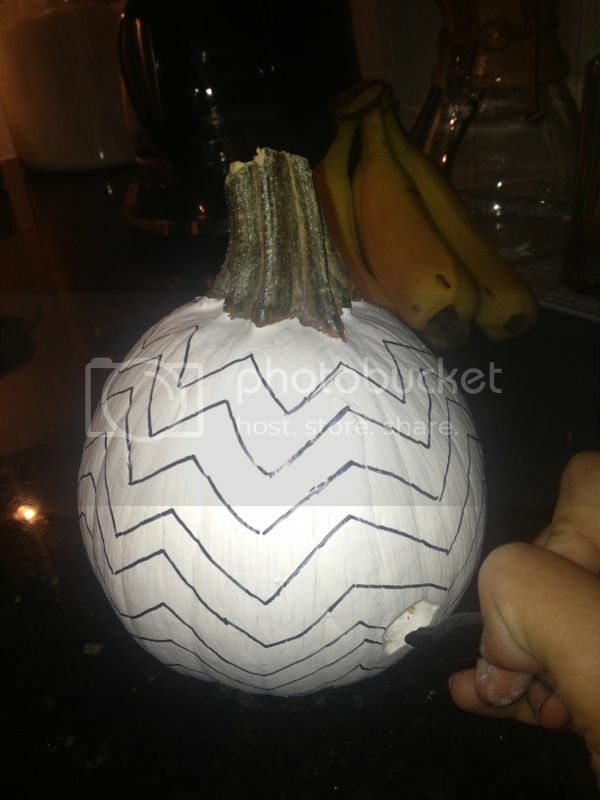 After you do the arrows, you make lines down the pumpkin on just the arrows that point "up"
And voila! 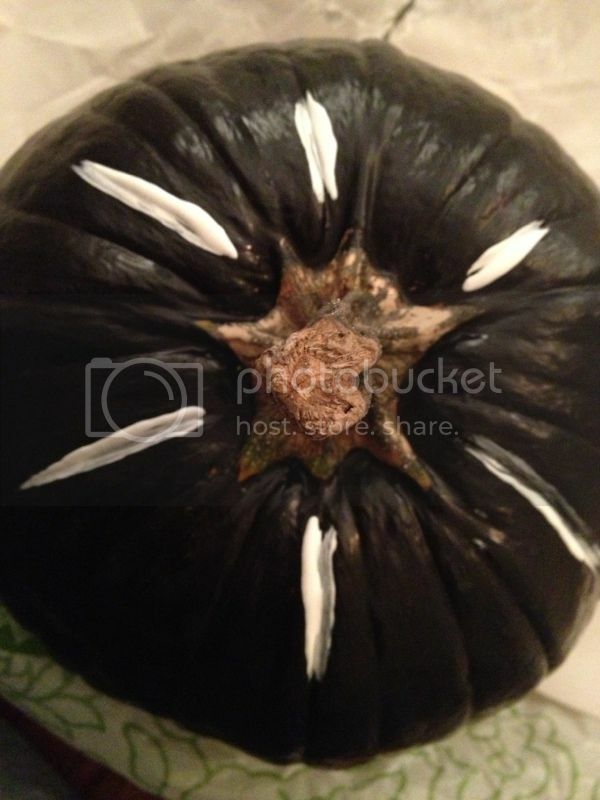 I also painted the stem of my teeny baby pumpkin in "Phantom". I initially painted it in the great purple color called "Majesty", but decided I liked the black/white/orange color palette better. 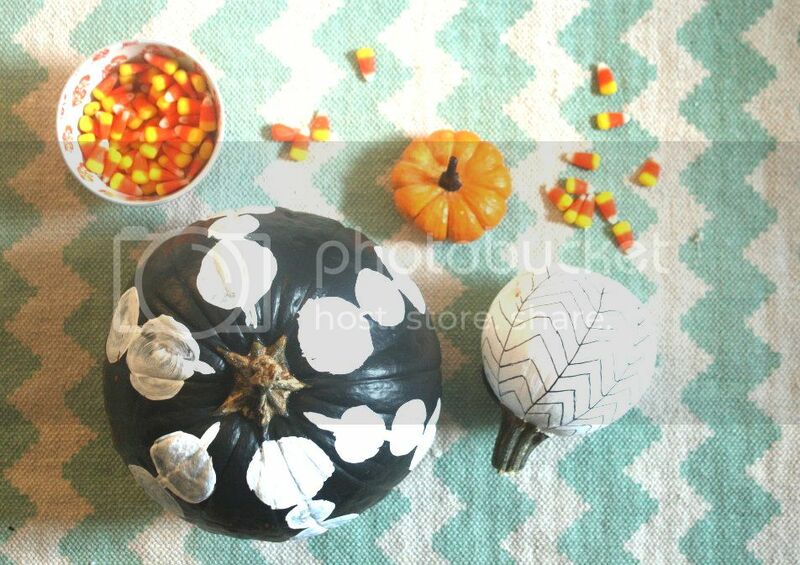 see the fun pattern all around the black pumpkin!? Now, the fun part of this party is that it's a contest. 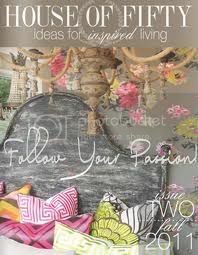 Please do the following to enter to win three quarts of our paint! 2.) For a second entry, Tweet @mycolorpaints using the hashtag #PassItOn, again with your color choice and the project you'd do. Let me know in a separate comment that you did so. 3.) 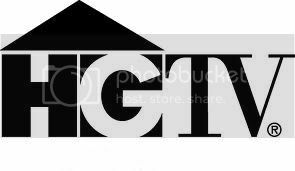 Visit our Facebook page and "like" us! You can view the color samples by clicking here. I will be selecting one random winner from the comments from today's post! You will be notified by email and on my FB page, so make sure you have one available for me to contact you with. Winner will be able to select 3 color choices. Your name and mailing information will be passed on to the My Color representative who will send your color choices to you. Alright, that's all for now! 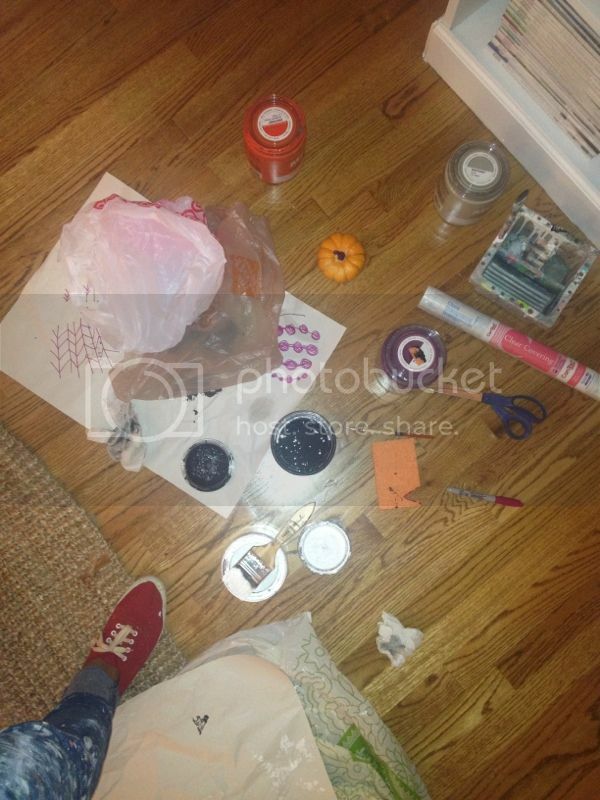 Dont forget to visit Caroline this afternoon for the next round of DIY projects and another chance to win! Disclosure: My Color inspired by Pantone reached out to me to participate in the My Color inspired by Pantone painting party. 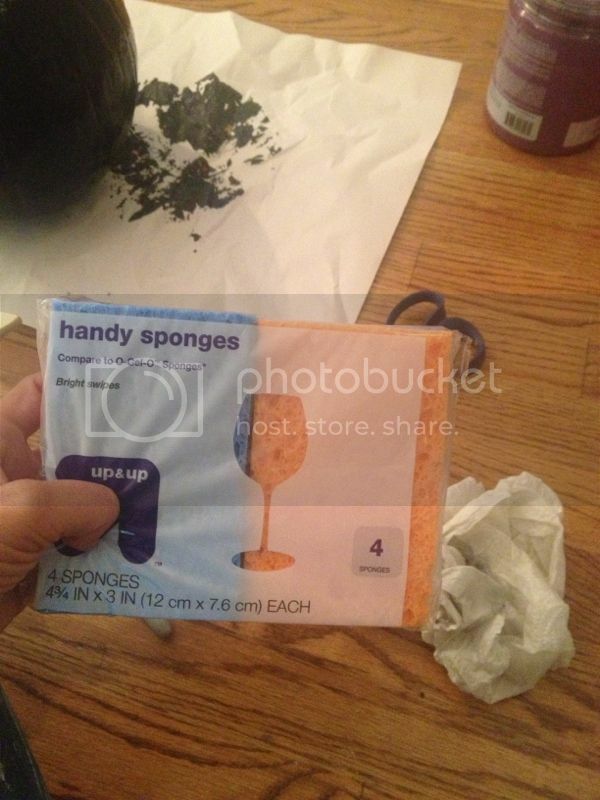 My post represents my honest experience with My Color inspired by Pantone Paint. I was not paid for my post or answers here, but I did receive My Color inspired by Pantone paint to use for this project. 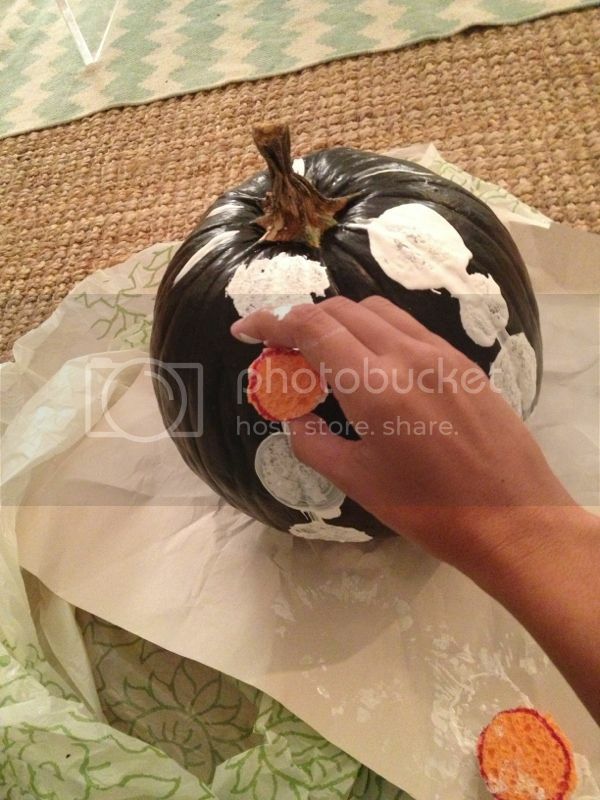 Oh, I want to try painting pumpkins now. Such fun! It's wonderful that this contest is open to Canadians, too!! I've visited their Facebook, website and have been tweeting. Thanks for the opportunity! I have to paint the furniture and some decor in the guest room and I would love to do it using Slate Green 16-0713, Whitecap Grey 12-0304 and Goat 16-0806. Love how your pumpkins turned out! Stopping over from Simply Vintageous to say hi. SuzyQ threatened me. Love the pumpkins. I have a few different roadside finds I need to fix up. I think I would choose glass green, blue haze, and gardenia. Great giveaway and paints! I have enjoyed seeing all of the pieces you each have created--They chose some talented bloggers for this party. I have a small buffet I would love to paint with Ocean Depths. Great giveaway! I'm excited it's open to Canadians. Popping over from Simply Vintageous. I'm going to be redecorating my guest room with blues and grays with gold accents so I'd like the Medievel Blue, Goat, and Nugget. Your pumpkins look great! Love the patterns! Thanks for the giveaway. Hi Kristen - I'm finally getting around to meeting my fellow party girls!!! Love your pumpkins - great job! I would use the color Carrot on some owl bookends I have. What do you think about resume writing services? It seems to be the best place where you can find help with getting a new job. Just don’t worry about this much because you can just order your resume. After reading the https://www.careermetis.com/6-donts-when-contacting-your-recruiter-online/ I can safely say that it is the best way to get an excellent resume. You really wouldn’t lose anything; I can tell you. I have ordered a resume here and I have succeeded. I won’t regret anything!